CCH worked with Rutgers to transform this 45 year-old, outdated dining hall into a modern, vibrant, state of the art classroom building. 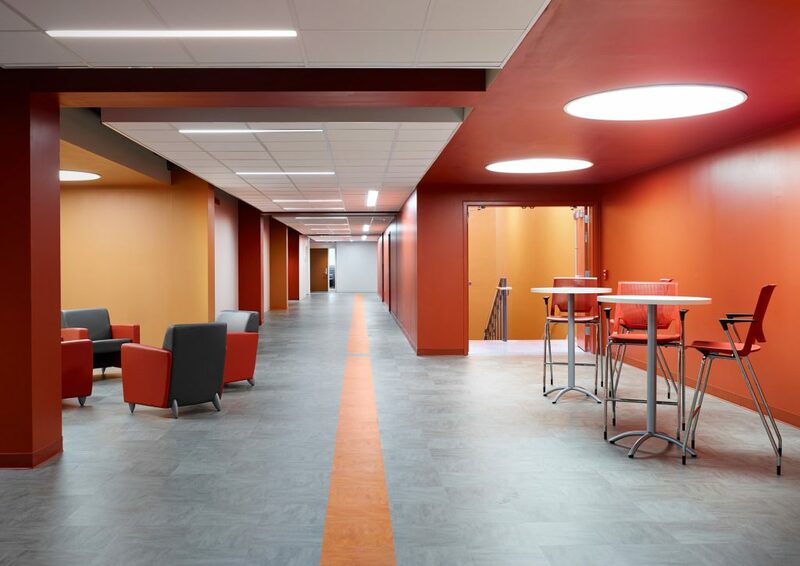 The building was stripped down to its essential structure and wholly reconfigured to provide 20 new classrooms and auditoriums of various sizes and configurations. The project involved a complicated phasing plan to allow the building to be occupied during the construction process. The project was designed to achieve a LEED Silver certification level and is Rutgers first all-LED lit building. Most of the building’s energy use is provided by the Livingston Campus’ massive solar array. Hessert Construction was awarded the construction contract for the project.